A big big thank you to Julie at Mickey Mom Travel! 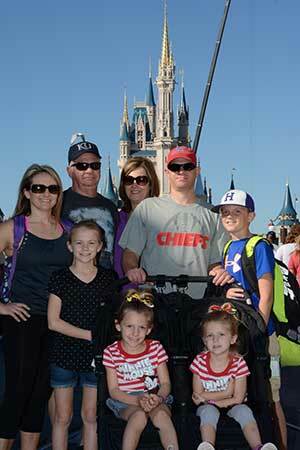 We went to Disney World with our 4 kids and Grandparents! Julie planned out everything perfectly for us! We were able to see and do everything at Magic Kingdom, Epcot, Hollywood and Animal Kingdom! Our vacation was perfect! We loved our laminated itinerary cards that told us exactly what to do each day. Julie was able to make all of our reservations, dining and fast pass! All we had to was show up! Thank you so much for making this vacation perfect!! !